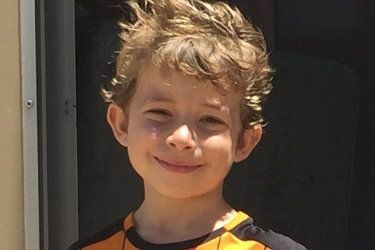 A talented boy from Chiswick and pupil at Falcons School for Boys Preparatory School in Richmond has been cast in a brand new six-part drama for BBC One based in Yemen. Toby Woolf, (8), will be debuting his acting career in The Last Post, written by BAFTA winner Peter Moffat, which is due to air later this year. Set in the mid-60s the drama centres around a unit of Royal Military Police Officers and their families. The story is based on Peter Moffat’s childhood memories, his father’s life as an officer in the Royal Military Police and his mother’s struggle between being what the army required her to be and what she felt like being.Toby will be playing George Markham, son of the man in charge, Major Harry Markham and Mary Markham, the woman everyone goes to for help. Incredibly, Toby originally auditioned for a Steven Spielberg film to practise his interviewing skills, ahead of his 8+ exam. Despite, thousands of boys globally auditioning for the role, Toby made it to the final few. The casting agent saw a natural talent in him which resulted in Toby being asked to audition for The Last Post. Toby will star alongside famous names such as Jessie Buckley (War and Peace), Amanda Drew (Broadchurch), Ben Miles (Coupling, RSC’s Wolf Hall), Stephen Campbell Moore (History Boys, The Go-Between)‎ and Jessica Raine‎ (Call The Midwife).